Hi to all of you, hope you'r weekend was good. Mine was perfect because i take much sleep lol! I come again with a topic that will definitely attracts you to read it with full care. Today, i will discuss about black nail art designs. 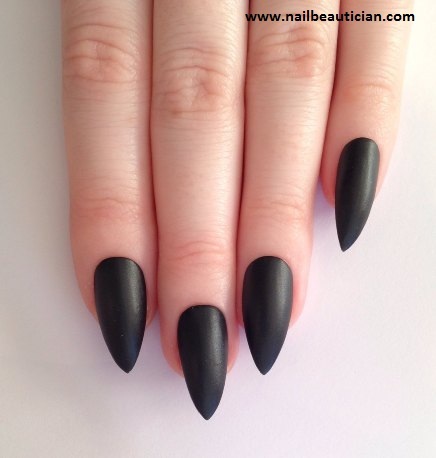 The answer is simple i choose this topic because black nail color is one of the favorite and hottest nail color. 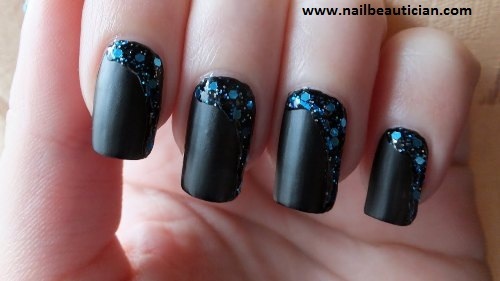 I decided to do some designing with one nail color "black" and make your nail art design unique from others. 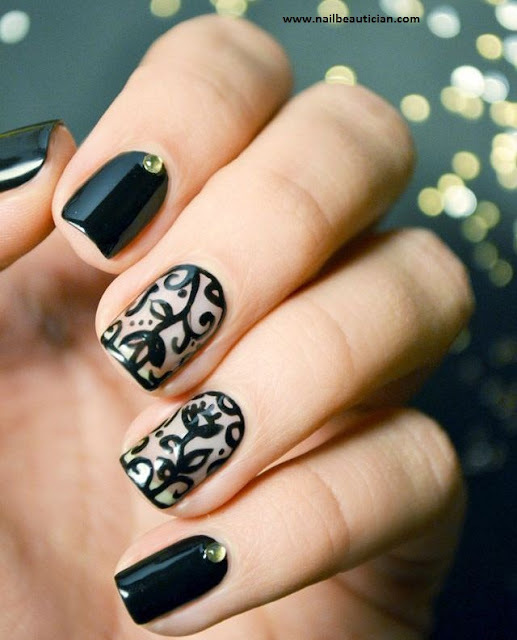 Go back to the history black was one of the first colors that was used by neolithic cave paintings. In 19th century, black is the color of English romantic poets, statesmen, businessmen. Later on in 20th century, black becomes the high fashion color. Power and prestige are important for you. You hold things inside, and don't want to share your sorrows or even happiness with others. Black color shows that you are independent, and like to be in your self. Black shows that your life is going through a negative phase. In short, we can say black is the color for all independent women's. "Women think of all colors except the absence of color. I have said that black has said it all and white too. Their beauty is absolute. It is the perfect harmony." Said, Coco Chanel, Chanel. 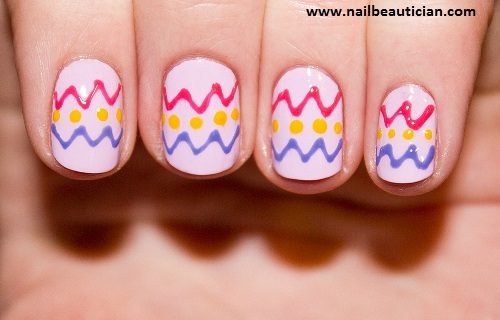 Transparent or nail base coat. Take an empty bottle. Now add the base coat and black eye shadow. Quantity depends on how much you need. Mix it well, so no lumps left. Mix it well with the wooden stick. Hurray! you are done and your black nail color is ready. It is not as perfect as black nail color we buy from super store, but yeah good for an emergency use. 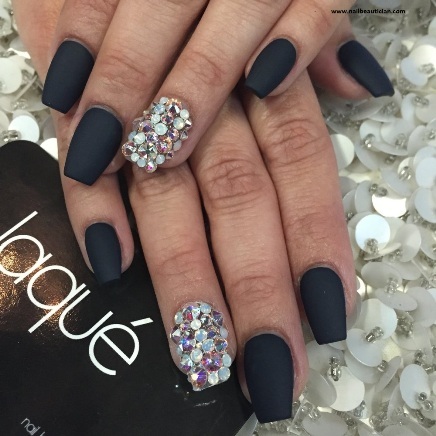 Here i am going to show some black matte nail art designs that will make your hands look beautiful and hot at the same time. 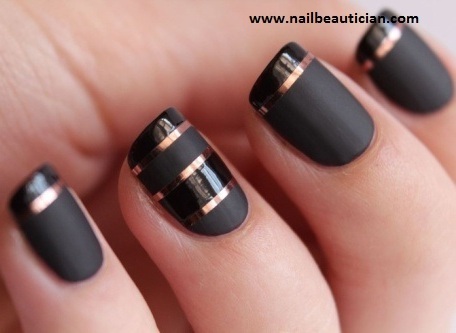 Make your nail color matte. 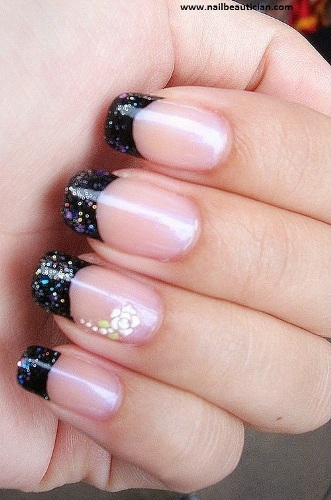 We mostly saw french manicure by using white nail color on the tips of nails. 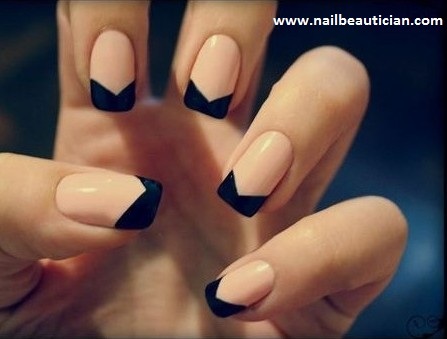 Trend changed, now Black Nail tips are very much favorite of all girls. 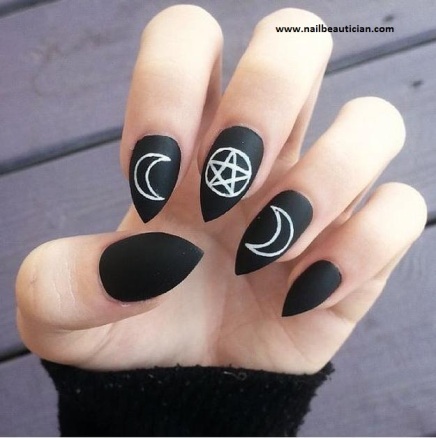 It gives a unique and a neat look to the nails. 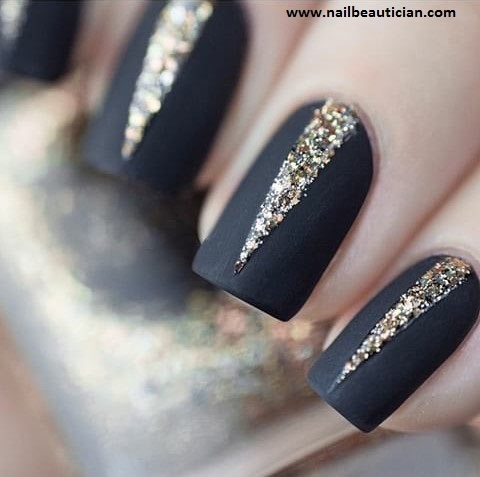 Here i am sharing some of the hot black nail tips designs with you.